A fashion shoot for a men’s clothing store introducing a new men’s clothing range. 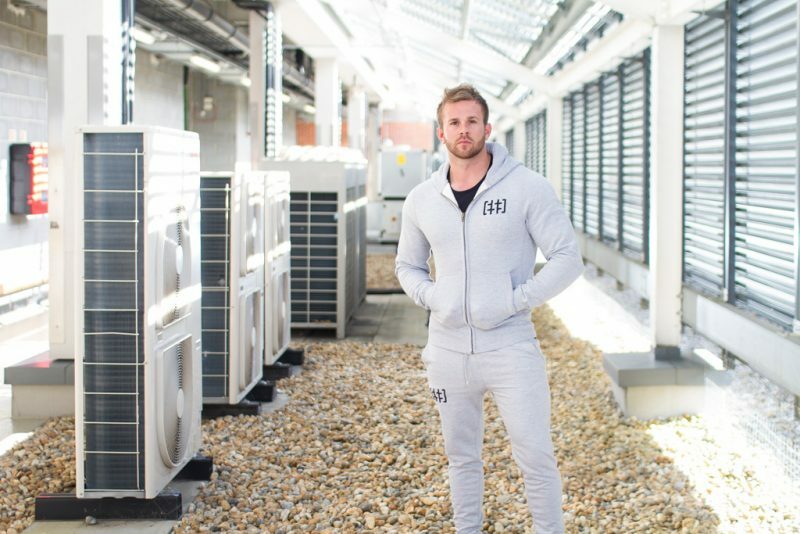 This shoot was taken in Newbury among the air conditioning units at the back of a recently constructed shopping centre. The setup used three flashes. Two flashes in umbrellas in front of the model and just either side of the camera. I was after clear even lighting rather than any shadows or excessive textures. The third flash was bare and directly behind the model to give some separation rim lighting around the model. The ambient lighting was trickier than I first thought when I spotted the location. As clouds obscured and revealed the sun, the slats did nothing to distribute the light. It was either full on glare or subtle gorgeous strips of light.